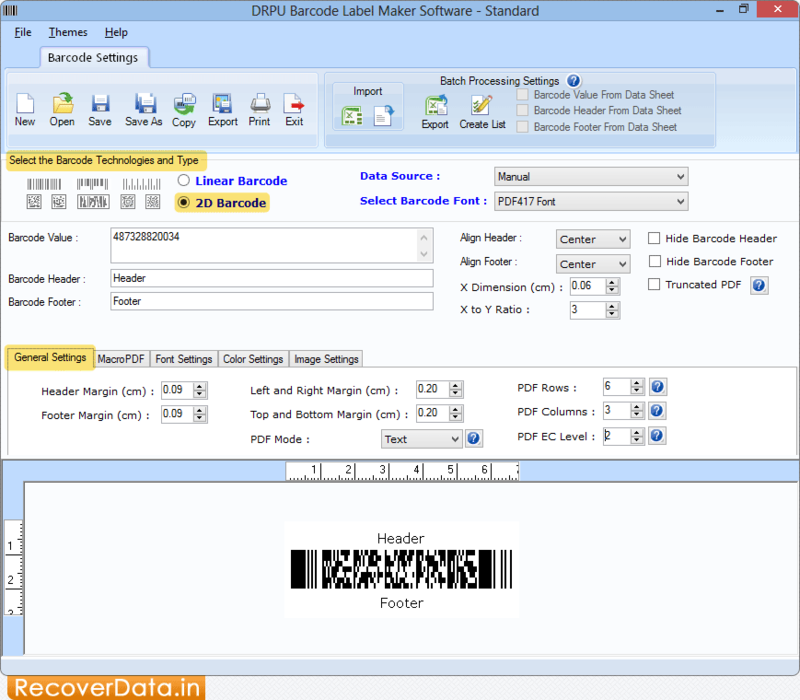 Select barcode technologies and type ( either linear or 2D ) . Click on 'General Settings' tab to specify Header Margin, Footer Margin, etc as per your need. 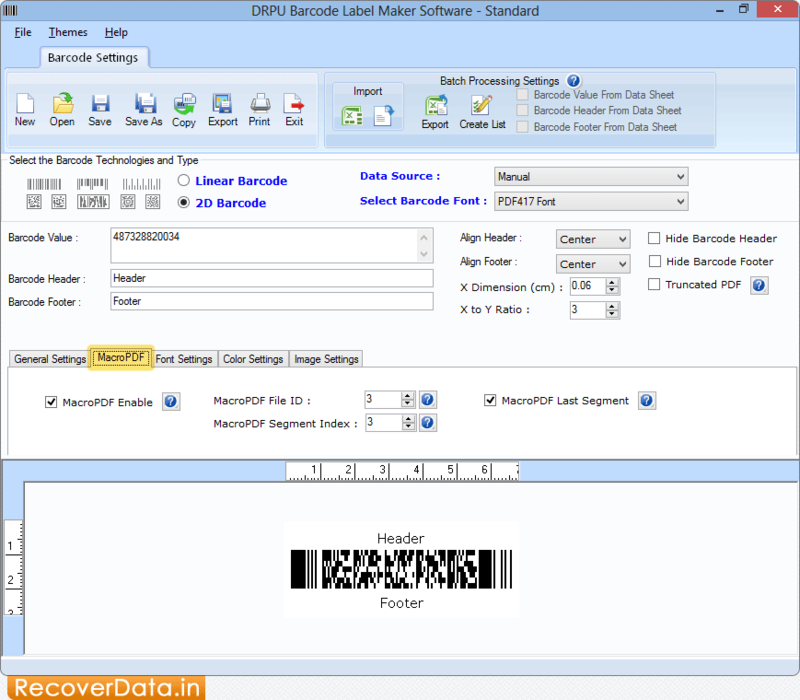 Go to the 'MacroPDF' tab to set MacroPDF File ID, MacroPDF Segment Index, enable MacroPDF Last Segment and MacroPDF Enable. 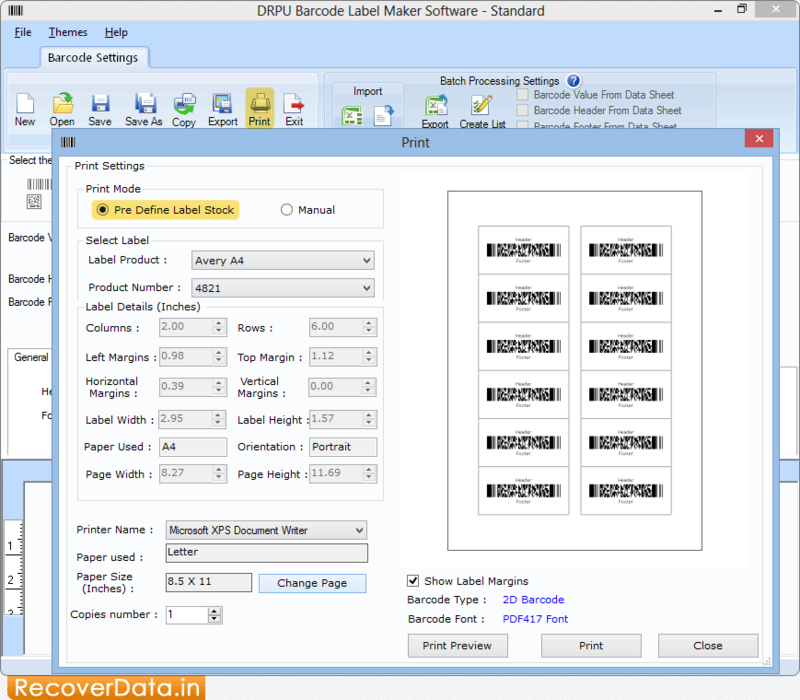 Choose any print mode either 'Pre Define Label Stock' or 'Manual'.